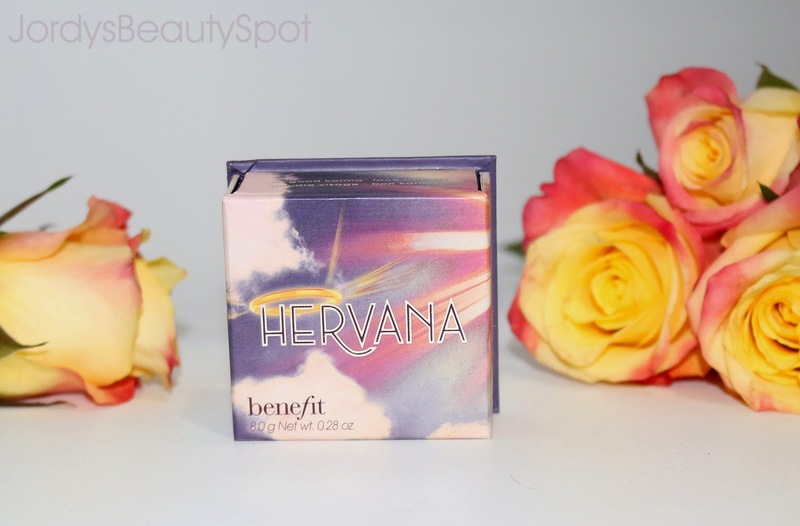 It's no secret that I am slightly (okay...extremely) obsessed with Benefit boxed blushes and couldn't resist adding the gorgeous Hervana to my collection and it didn't disappoint. As with all Benefit boxed blushes, the detail and intricate design on the product itself is incredible! This particular pattern consists of four different colours in a swirl formation. The concept of this one is to mix all of the colours onto your brush, blending them all together to achieve the perfect combination of peach, dusty rose, pink and pearl. If you particularly love a certain shade in the box then you can use a smaller brush to pick up the specific colour and apply it that way. I love doing this with the lightest pearl shade and using it as a highlighter. That's the great thing about this blush, you can mix and match the colours, creating so many blush options in the one box. 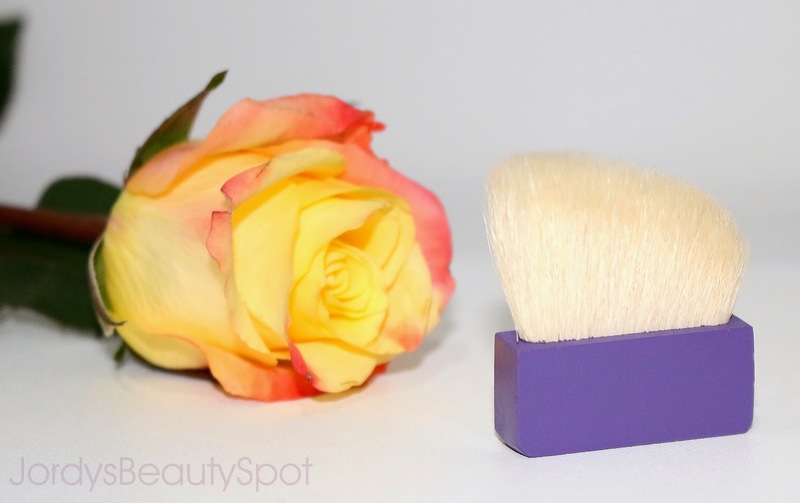 As usual the blush came with a mini thin kabuki brush to apply the product but I much prefer using angled powder brushes so these tend to sit in a draw being unused. Still they are a great option if you want separate brushes for each blush so not to mix colours. 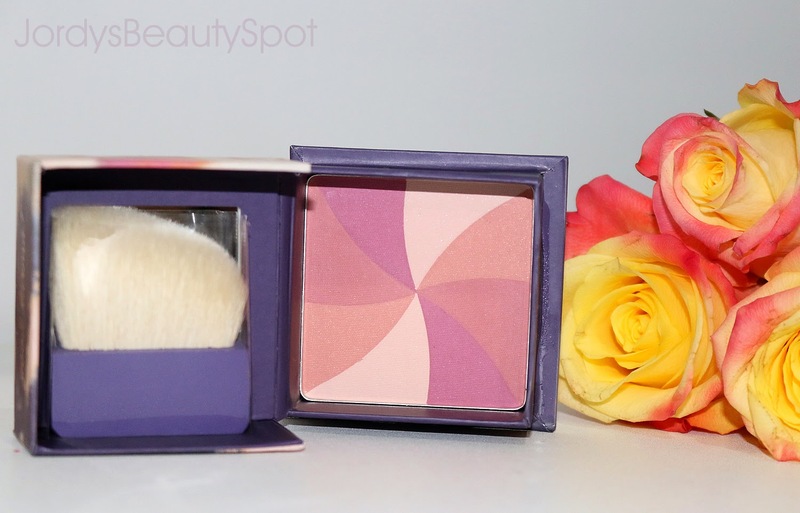 Benefit Boxed Blushes are $51 from Myer and David Jones but you can also order directly from the US site which can be beneficial in saving money. Wow!!! This is so pretty. I super love the shades and the packaging. Its a must have indeed. Is this glittery or more of a sheen?